Before its triple meltdown, the nuclear power industry claimed that the Fukushima Daiichi atomic reactors were earthquake proof – what the nuke proponents call ‘seismically qualified’. Fukushima Daiichi owner, Tokyo Electric Power Company (TEPCO), conducted what atomic utility owners call a “Maximum Credible Assessment (MCA)” (or what the Fairewinds Crew calls the “Maximum Cost Affordable”). According to the nuclear industry, the MCA assesses the maximum magnitude of an earthquake or natural disaster based on industry best guesses in relation to anticipated costs for repair construction budgets. Therefore, when a nuclear plant owner like Pacific Gas and Electric (PG&E) claims that its Diablo Canyon atomic reactors are earthquake proof… that’s not exactly true. What these atomic power producers are really claiming is that they have constructed an atomic reactor that should be able to withstand the worst possible earthquake that corporations believe is affordable. The aftershock earthquake that hit Fukushima Daiichi was a magnitude 6.6 that originated from a magnitude 9 earthquake offshore. As we continue to witness the ongoing tragedy created by the triple meltdown at Fukushima Daiichi, we also witness an atomic reactor deemed earthquake proof and ‘seismically qualified’ by the Maximum Credible Assessment suffering a major disaster and meltdown due to an earthquake less than the magnitude limit that the atomic reactor was built to withstand. 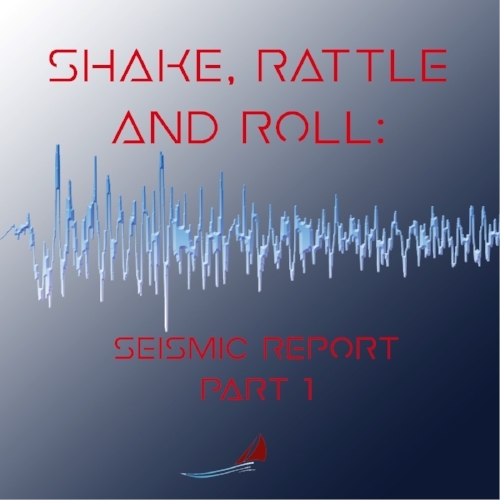 In this podcast, the Fairewinds Crew discusses seismicity risks and atomic power with Fairewinds Science Advisor Dr. Leslie Kanat, a double Fulbright scholar and professor of geology at Johnson State College. Dr. Kanat explains the difference between fault and subduction zones, why earthquakes are near impossible to predict, and how history can and does repeat itself. Located in Washington State, near the majestic Columbia River, the Hanford Nuclear Reservation is a site of grimly historic significance, linked to the bombing of Nagasaki and the Cold War nuclear arms race. The site was chosen in 1943 because its ample supply of water could be used to cool the nine atomic reactors designed to make Plutonium for A bombs. That water was drawn from the majestic Columbia River that further downstream creates the border between Washington and Oregon. Now, in a terrible irony, Hanford’s radioactive legacy threatens a blight of epic proportion to the fertile Pacific Northwest. Physicians for Social Responsibility calls Hanford the most contaminated place in the Western world. I take what’s happening at the Hanford (nuclear waste management) site somewhat personally, not nearly so personally as do my sister and her family, who live in Portland, Oregon, or the rest of the regional population, for whom the river valley has long provided unequalled recreational opportunity, natural beauty, and some of the richest vineyards in North America. Did you know that the Columbia is a premier U.S. destination for windsurfers? My mother, Mary Lee Stewart, was born under the shadow of the painted hills, in John Day, Oregon. Being a child of the desert, she must have thought she had died and gone to paradise when, as a young woman, she first set eyes on the lush Columbia River Gorge. On our few trips from Chicago to visit her Oregon family, Mother took us to the beach and on nature walks along the Columbia River. We fell in love with the wild beauty of the region, and as an adult, my sister was irresistibly drawn to live there. Little did my sister realize that, on a similar timeline and shrouded in official secrecy, the Department of Energy’s wartime pursuit of Plutonium-239 for nuclear weapons was winding down dangerously close to the sharp westward turn that the Columbia River takes along the Washington/Oregon border before its final journey to the Pacific Ocean. The Hanford Site had provided plutonium for “Fat Man,” the second atomic bomb, which was dropped on Nagasaki in August of 1945, three days after the bombing of Hiroshima. The Site quietly continued to produce weapons-grade plutonium for several decades after that, carelessly mismanaging liquid wastes from the process. By 1986, when the disaster at Chernobyl reignited public fear [or anxiety] about radiation, the federal government’s Department of Energy (DOE) was forced to reveal the vast extent of toxic radioactive contamination at the site. By then it had been operating, with little thought to the natural environment, for more than 40 years. The DOE’s response to the dire situation was to end atomic weapons production at Hanford and designate it as a high-level nuclear waste repository. Not surprisingly, this did not sit well with the people of the Pacific Northwest, for whom the pristine condition of their region has always been a source of great pride and economic benefit. Under public pressure and scrutiny, Congress allowed the state of Washington authority to regulate the Hanford site. It was then that the over-arching mission of Hanford changed, belatedly, to clean-up and environmental management, neither of which seems to have been at all successful. The Columbia River is our nation’s second largest river and historically home to the largest salmon runs on Earth. The Hanford Reach of the Columbia flows 51 miles through the Hanford nuclear site and is home to sturgeon, salmon, and bull trout. Hanford is the most contaminated place in the Western Hemisphere, where the United States dumped billions of gallons of radioactive waste on the banks of the Columbia and into the river itself. Today, waste in unlined cribs and trenches has spread into large pollution plumes and dozens of storage tanks have leaked high‐level nuclear waste. Vast areas of groundwater are poisoned and, in some places, flowing into the Columbia River. Those ‘billions of gallons’ of now radioactive water had originally been drawn from the innocent Columbia River, and were the reason the fateful decision was made to locate the Hanford nuclear weapons complex besides its rushing flow. On its website, the Department of Energy (DOE) belatedly acknowledges the problems at Hanford, including existence of underground ‘plumes’ of radioactive contaminants resulting from careless disposal of waste directly into the environment that have "long since soaked into the soil on the Site… A ‘plume’ is kind of like an underground river where the contaminants join with the water that exists beneath the surface of the Earth. Many of these plumes move in varying speeds and move toward the Columbia River." Alarming? Absolutely! The DOE report goes on to detail several experimental efforts at mitigation which are being attempted on the Site, none of which sound particularly promising. The reader is left with the unsettling feeling that there is no good news possible in Hanford’s environmental future. On April 18 of this year, it was reported that more than eight inches of highly radioactive liquid waste was standing in the exterior annulus after leaking from one of the double-walled tanks at the Hanford site, each of which holds one-million gallons of this deadly waste. The ‘annulus’ is the secondary shell surrounding each tank, as an added precaution against what were thought to be highly unlikely leaks. There are three more of those gigantic double-walled tanks (AY-102) on the site. Since the inner chamber was believed to be virtually breach-proof, the outer shell of the tank was not fitted with any filtration or exhaust system. These measures become essential, in the event of a leak, in order to deal with the dangerous radioactive gases generated by standing waste. Not only does this situation represent an explosion hazard of unimaginable proportions, it also creates incredibly hazardous working conditions for employees and contractors attempting to mitigate the nightmare [tinderbox?]. Consequently, even after donning full respiratory safety gear, some emergency workers have become quite ill while attempting to cope with this ticking time-bomb. Will the outer shell succumb under the stress created by the unanticipated pool of radioactive waste building up inside? No one knows. The DOE and its waste storage designers, manufacturers, and consultants never anticipated such mechanical failures. In the weeks since the leak was discovered, radiation levels have spiked to what is officially described as “elevated risk”. And, when the material periodically ‘burps’ radiation, workers laboring to bring the situation under control are forced to make a hasty evacuation. So far 47 workers have required evaluation for symptoms of illness related to vapor inhalation. Somewhere midway between my sister’s home in Portland and the Hanford nuclear site, a little more than 200 miles away, lies the spectacular Columbia River Gorge, the premier wind-surfing destination in America. Hiking the Gorge has been a must-do on my visits to Oregon, and nowhere in America is the lush abundance of nature more spectacular! The questions are: For how much longer will we have this place of natural treasure? And, is it, even now, becoming unwise to engage in recreational activities on the upper Columbia River? What about the valuable agriculture of the region? The Columbia River Gorge represents some of the finest wine country in North America, clearly rivaling that of California. Already, toxic leachate from the Hanford Site that was never properly contained over its operational decades has unquestionably reached the Columbia, undoubtedly with more on its way. To monitor and track plumes heading toward the Columbia River, more than 1,000 groundwater and soil testing wells have been installed and are sampled on a regular basis. We also have installed groundwater treatment systems to control further migration of plumes. These plumes are large, complex, and lie at a depth sometimes exceeding 250 feet. The success of the effort depends on the effectiveness of existing treatment, the use of innovative technologies, and continued effort. With these new releases indicating a failure of tank containment at the site, one has to wonder what the future looks like for the Columbia River Valley, and whether or not its rich natural and economic resources will still be available for future generations to enjoy. Those questions assume what is the very least alarming perspective on Hanford. Remember those ominous ‘burps’? They could signal an approaching crisis. Even before this latest burst of bad news, some have dubbed Hanford, “America’s Fukushima,” remarking on the very real risk of a radioactive explosion erupting from the unstable toxic soup contained therein, creating an event that would necessitate evacuation of much of the densely settled Pacific Northwest. That’s my family they’re talking about. The Hanford Site has recently been declared a National Park for its historic significance in connection with the Manhattan project. Long before radioactive waste became the big story at Hanford, it already had a shadowed past. Here is a fascinating article discussing some lesser known facts about the people who who were involuntarily displaced at Hanford by the Manhattan Project, and the African-American laborers who were brought in to work there through the war years in a segregated environment, then encouraged to return where they came from. The Japanese government has reported estimates to the IAEA [International Atomic Energy Agency]. According to those estimated levels, reactors 1, 2, and 3 had been in operation on March 11, 2011, and all three suffered meltdowns. Those three reactors released 1.5x1016 Becquerels of Cs-137, which would make it a release of 168 times more radioactive material than the Hiroshima bombing. And this is only material released into the atmosphere-at least according to Japanese government estimates. But I myself think the government's numbers are an underestimate. Prof. Koide Hiroaki, who has spent his entire career as a nuclear engineer working towards the abolition of nuclear power plants, says that active involvement in anti-nuclear movements earned him “an honorable form of purgatory as a permanent assistant professor at Kyoto University", according to a recent Asia Pacific Journal Article. Educated and employed throughout his career as a nuclear engineer, the recently retired, Prof. Hiroaki continues to write and act as an important voice for a nuclear free future. He has authored twenty books on the subject of nuclear energy and weapons. Immediately after the accident public announcements and information were restricted. As a result individual opinions or statements were strictly forbidden and nearly all experts remained silent, so even basic information was not broadcast. Though I'd made statements from the nuclear lab beginning on the 12th, it is likely there were instructions from the Ministry of Science and Education to silence me. The head of the lab convened several meetings where he told each of us not to make any statement, that the lab would toe the official line when dealing with the mass media. I thought this was wrong and said that anyone who was asked a question by the media should answer it, further saying that if I were asked a question, I had a responsibility to answer. Since then I've continued to make statements in the media. Still the large majority of nuclear researchers were not able to do this. Prof. Koide Hiroaki embodies Fairewinds’ mission of ‘speaking truth to power’ as he reveals the pressure from authority to keep silent immediately following the meltdowns at Fukushima Daiichi. Unafraid to share the true extent of the immediate radiation release from the triple meltdowns, Prof. Hiroaki speaks openly about the continuous exposure from Fukushima Daiichi that constantly threatens public health. Many in the atomic energy information world received the news yesterday that Michael Mariotte, longtime leader of Nuclear Information Resource Service (NIRS), died Monday May 16th after waging a brave struggle against pancreatic cancer for the past three years. Michael played an integral part in NIRS' communications about nuclear issues for more than 30 years. We at Fairewinds Energy Education express our condolences for their loss to his family and colleagues. I first started following NIRS when I was still employed in nuclear power public relations back in the late 1970s. 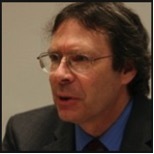 Michael began researching and writing for NIRS in 1985. When I was on the other side of the fence promoting nuke power, I constantly asked the many atomic power experts I knew about the issues Michael Mariotte and NIRS raised; expert after expert told me Michael and NIRS had it wrong. Now, as every redundant safety system failed at Fukushima Daiichi, and with the Chernobyl and Three Mile Island (TMI), the world has seen 5 major meltdowns in 35-years, it is clear that NIRS and Mariotte have been on the right track. Both Arnie and I are thankful that we had the opportunity to work with Michael and discuss these issues with him during the ensuing years, and that we had the opportunity to visit with him last June. Michael will be deeply missed. Fairewinds Energy Education is a 501(c)3 non-profit organization dedicated to furthering public understanding of nuclear power and nuclear safety related issues.